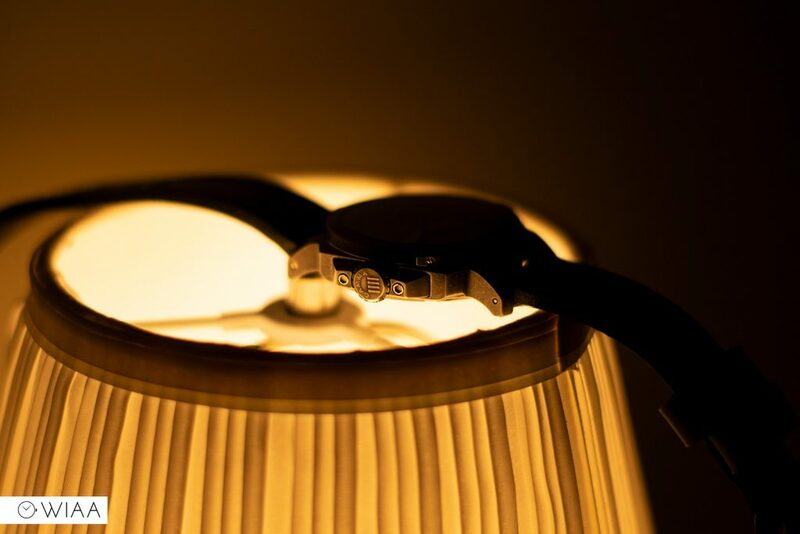 Published by Joshua Clare-Flagg on 19 Jan, 2019. I had the great pleasure of reviewing the original Vanguard. And, years on, it’s still a favourite of mine and in my regular rotation (which really says something!). As the original was such a massive hit, I had to get my hands on the re-release. 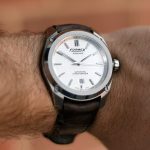 Demanding almost double the price, there are some serious upgrades: the Seiko NH35A has been replaced with an ETA 2824-2, the leather strap its hand-made by Simona Di Stefano, the lume has had a mega upgrade (it was great already), and there’s been a general revamp of the design and case. 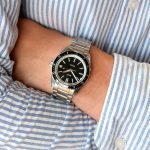 So, with the previous model such a success, does the latest model warrant the price hike? 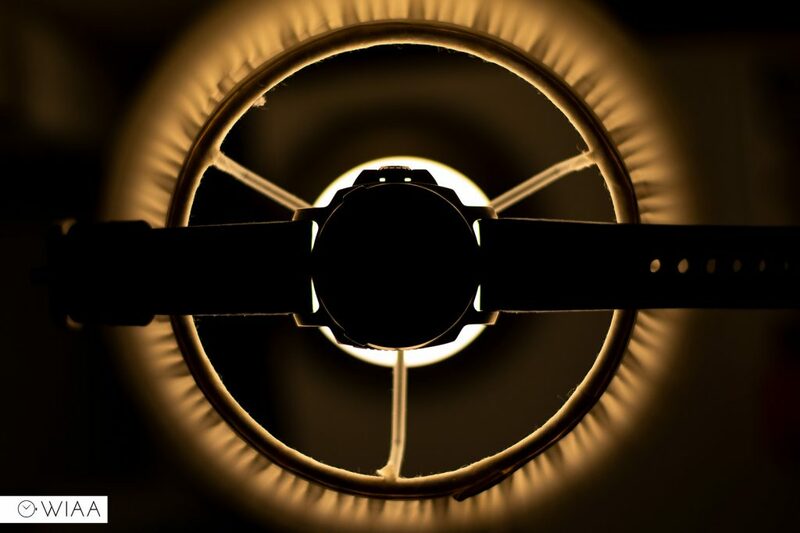 Let’s take a closer look to see. First, it’s worth mentioning the new, upgraded travel pouch the Vanguard comes packaged in. 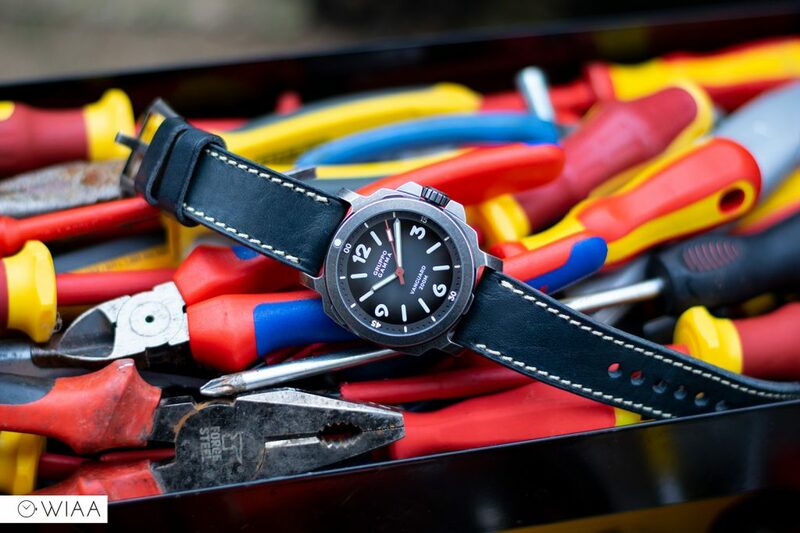 It’s a lovely canvas affair, with space for two watches as well as straps and tools. 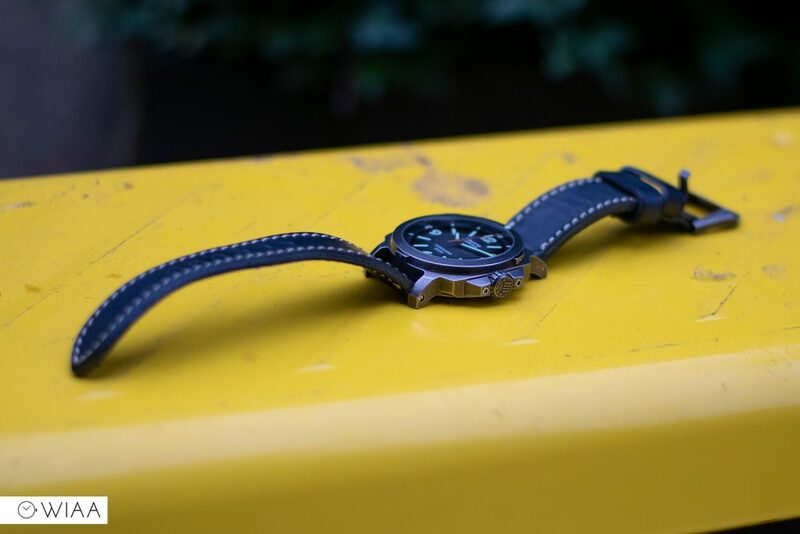 I actually use it every day to transport my watches to and from work – it’s a really handy thing to have. Check out the unboxing video to see it in all its glory. The aged finish is truly a work of art: rugged, rustic, yet purposeful. 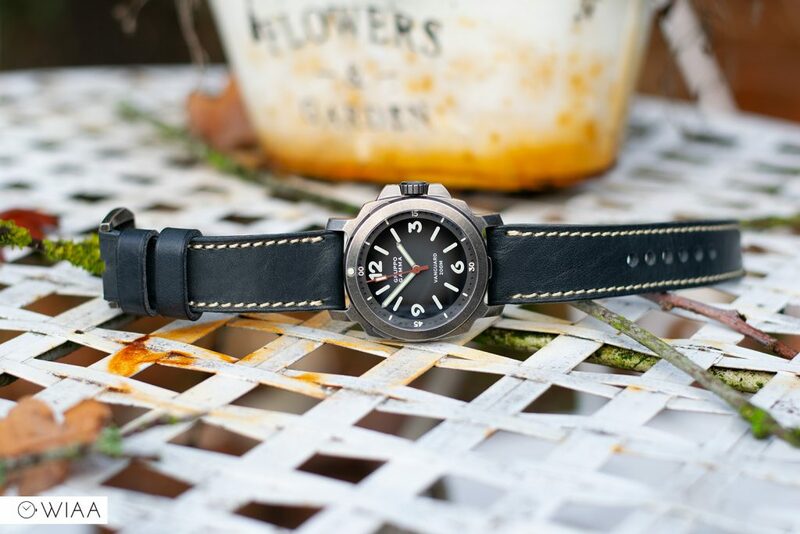 What’s more, it’s all ready to take a beating so this is the kind of watch that will look the same years down the line. 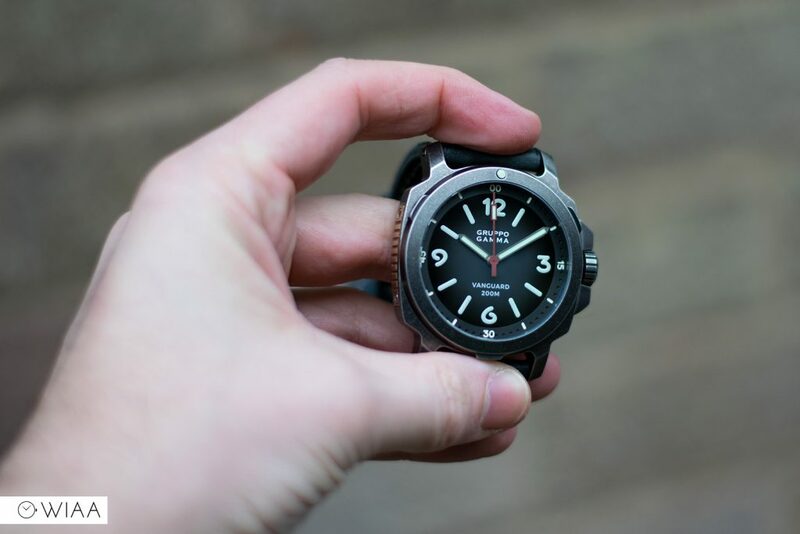 The 44mm diameter wears fairly large; and whilst the height of 13.5mm sounds tall, it’s surprisingly slender on the wrist. 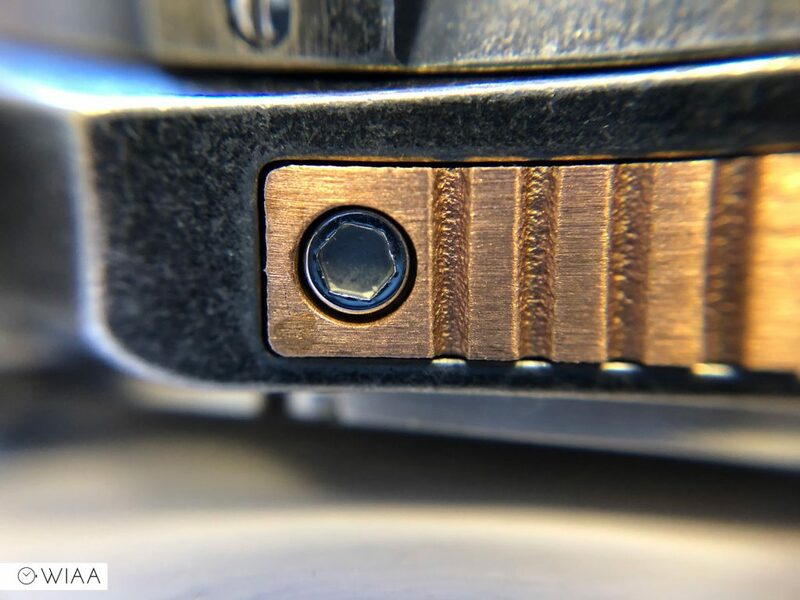 Flanking the screw-down lock crown are bolt-on crown guards, which are really heavy duty and provide a tough, built-to-last appearance to the case. The crown surprisingly lines up rather nicely, which I rarely see, and has Gamma and IIII embossed on the end to signify the 4th generation of Vanguard. The bronze case side guard is a really cool, unique addition. 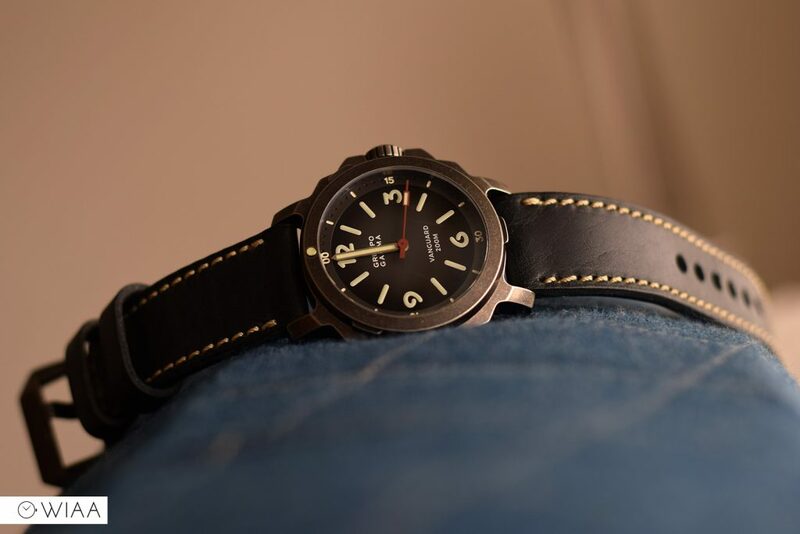 Whilst realistically it is not particularly functional, it’s an extra layer of protection against bangs, it looks great, and the fact that it’s replaceable opens up an opportunity for customisation in the future. 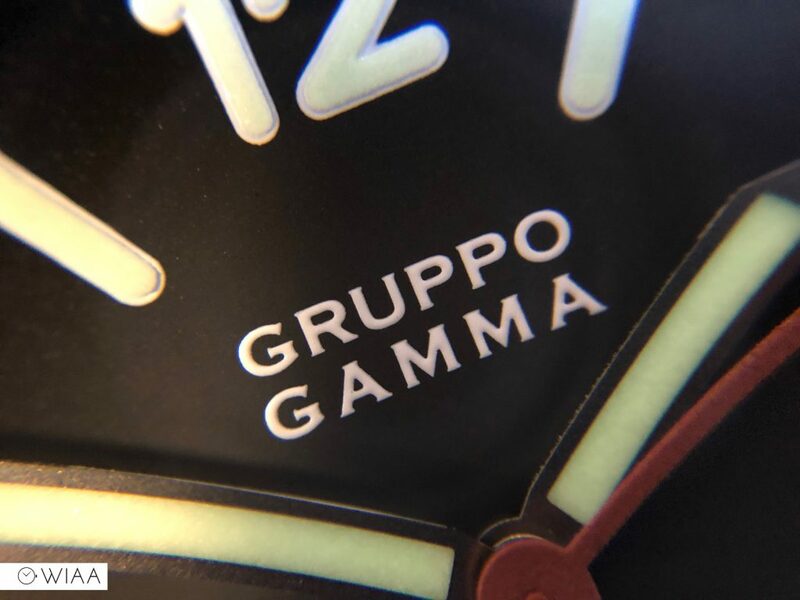 The stainless steel caseback is secured by screws, with a detailed cross-hatch pattern and the Gruppo Gamma skull logo in the centre which looks excellent. 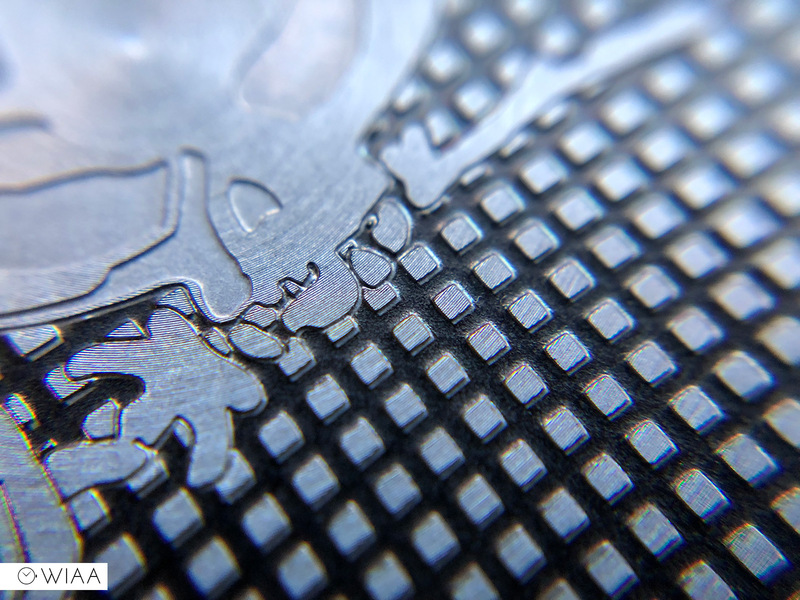 Various details are very deeply engraved around the outer edge. 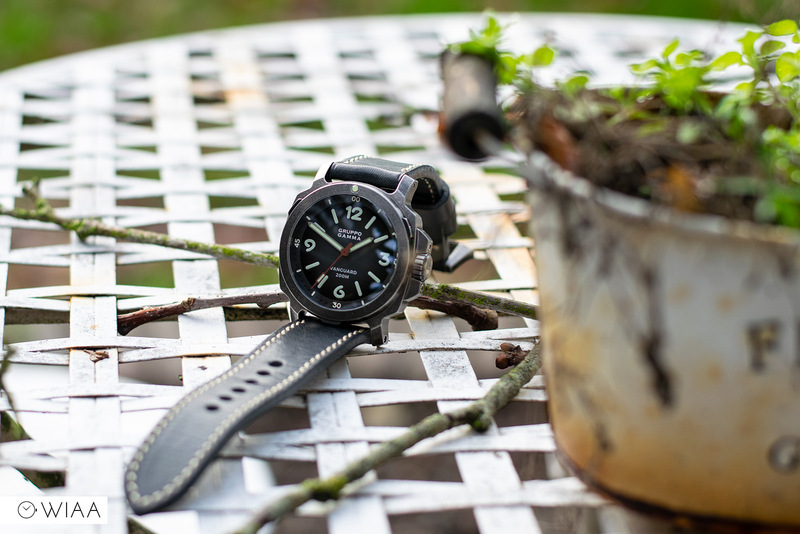 The 120-click unidirectional rotatable bezel has only a pip marker with Swiss Super-LumiNova® C3 at 12. The three points of fastening at 2, 6 and 10 are also handy for grip and are neat pieces of detail with a screw within. 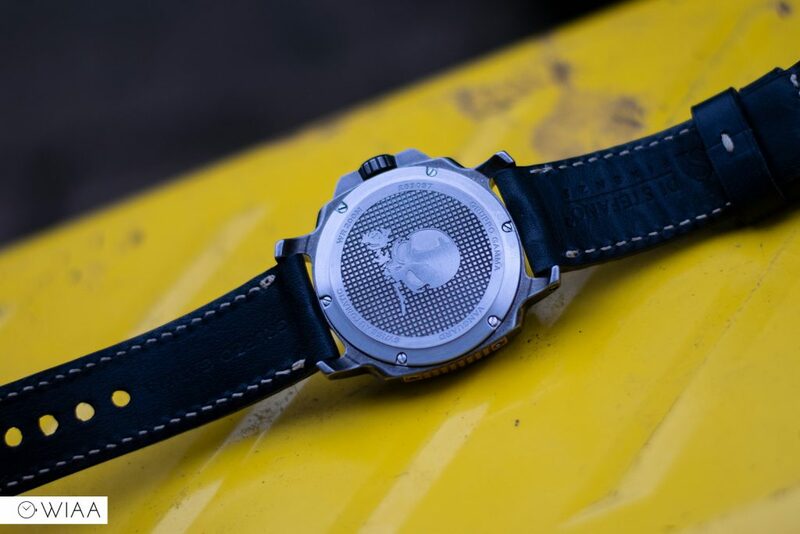 Sitting on top of the case is a low profile double-domed sapphire crystal, which keeps sharp visibility at the tightest angle. It has an anti-reflective coating on the underside which is really effective at keeping reflections at bay. 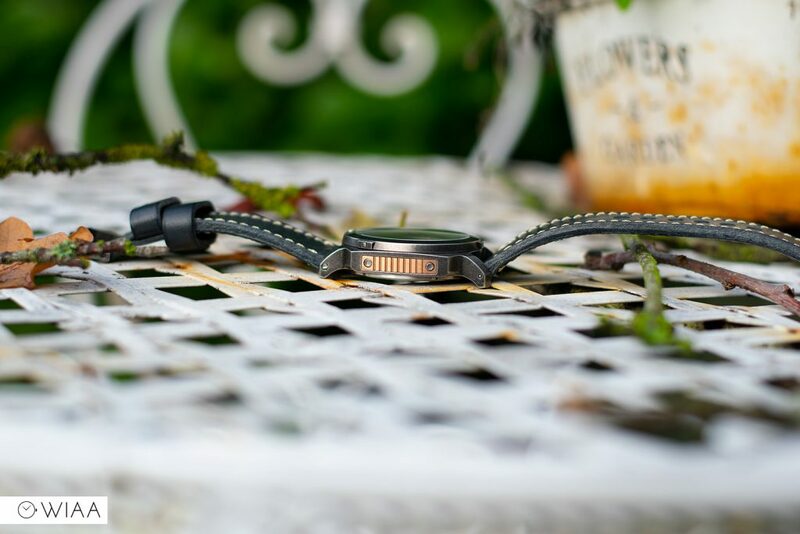 The two-tone black dial has a subtle yet effective sunburst colour – a light grey in the centre, to a darker outer edge. 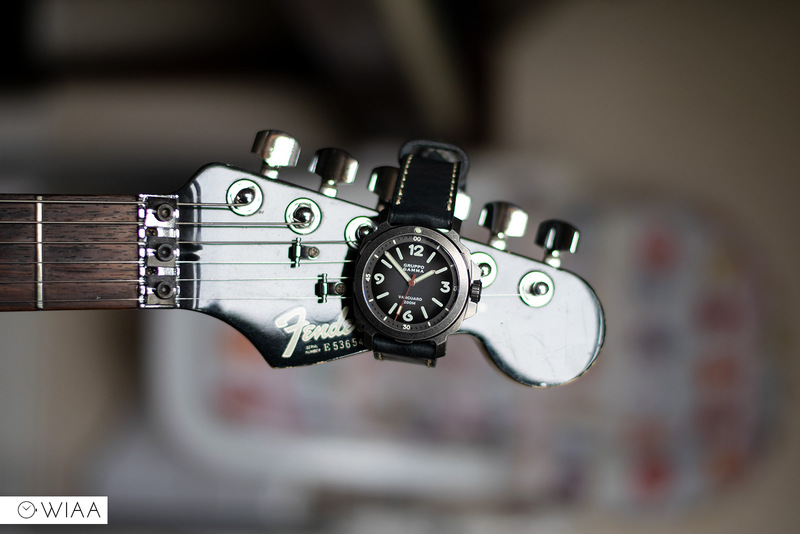 It’s tastefully done, draws the eye to the centre of the dial, and keeps things interesting. 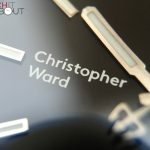 The thickly printed hour markers are made of Swiss Super-LumiNova® C3. These are numerals at 12, 3, 6 and 9, whilst the remaining are batons. 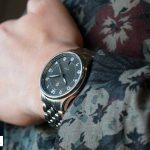 The chapter ring is manufactured in a lighter gunmetal finish, which frames the dial so well and complements the entire look. 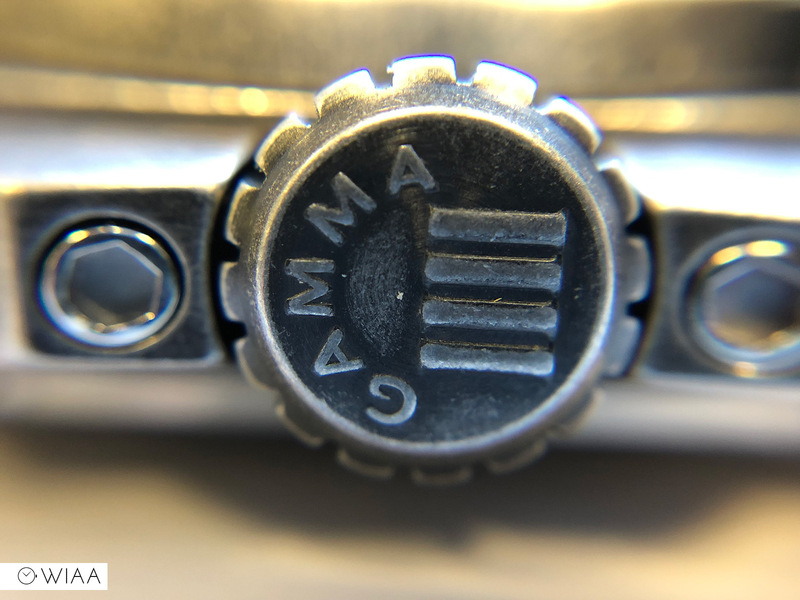 The markings, including the digits, are all engraved with great precision – it’s something so small but excellently executed, well thought-through, and designed / manufactured. 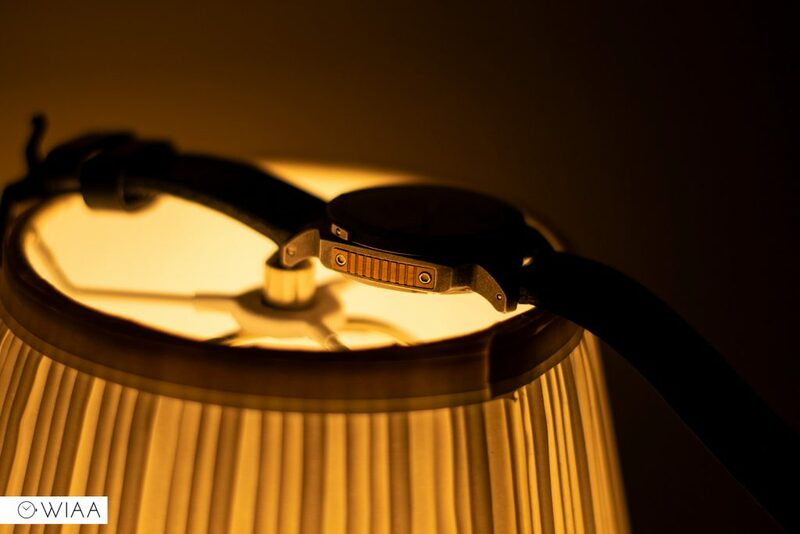 The silver colour hour and minute hands are light enough to be legible against the dial. In terms of shape, they’re a fairly standard baton with a pointed tip – nice and simple and not overly extravagant. 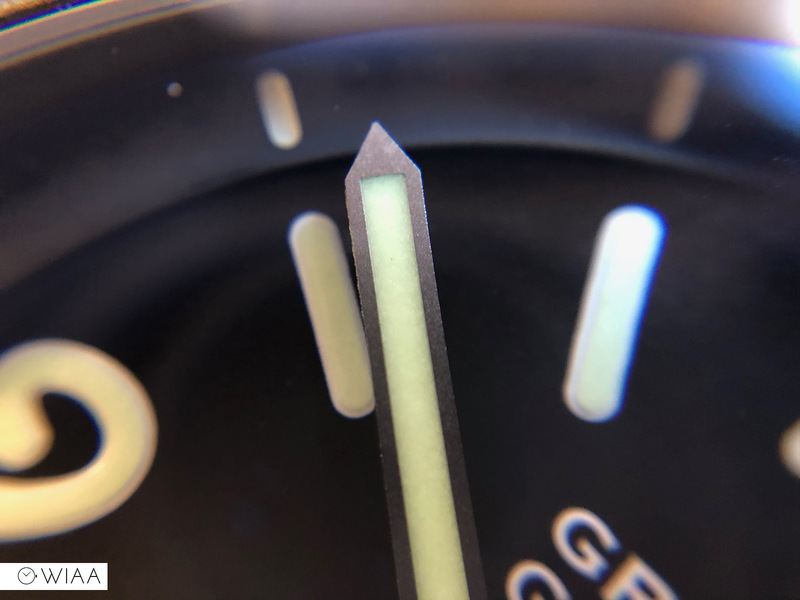 The straight red seconds hand provides a splash of colour into the dial and features a lume-filled baton near the tip. 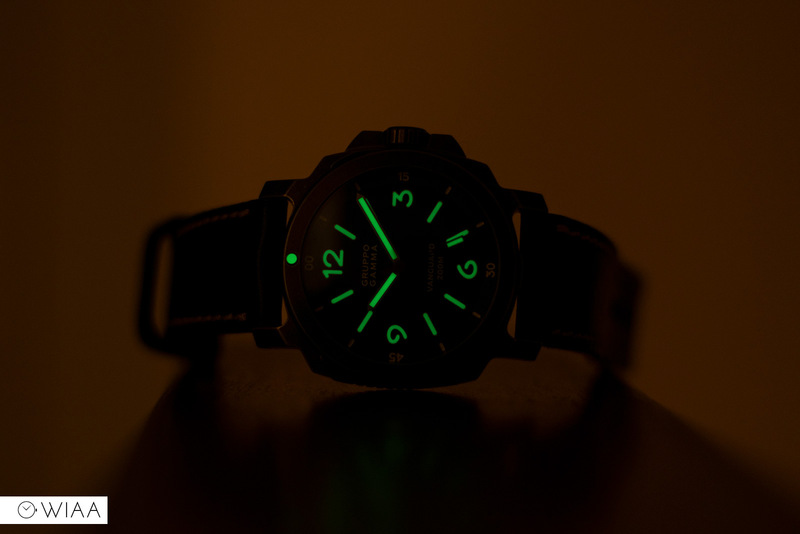 The Swiss Super-LumiNova® C3 lume used across the Vanguard is sensational; I was impressed with the lume on the original – but this is at another level: think similar quality to Seiko LumiBrite. It’s thick, evenly applied, and glows and charged quickly and easily. 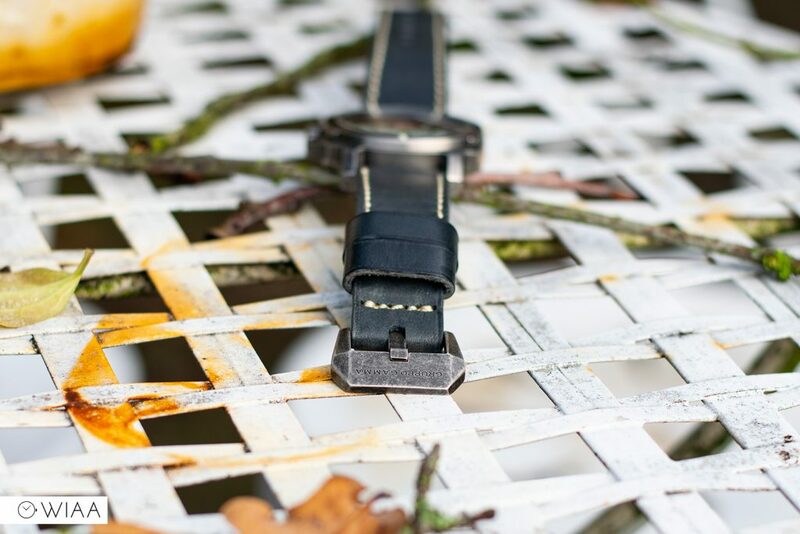 The leather strap is handmade in Italy by Simona Di Stefano Straps. 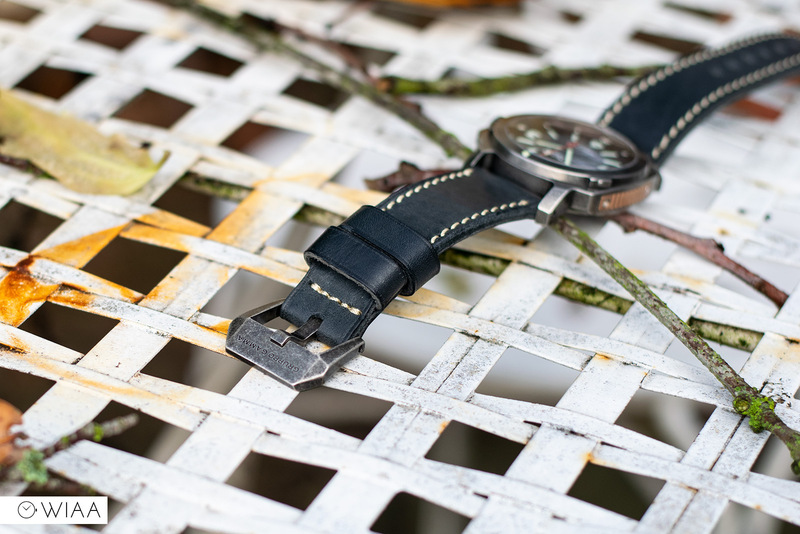 The straps on all Vanguard models are handmade in Florence by Di Stefano Straps. 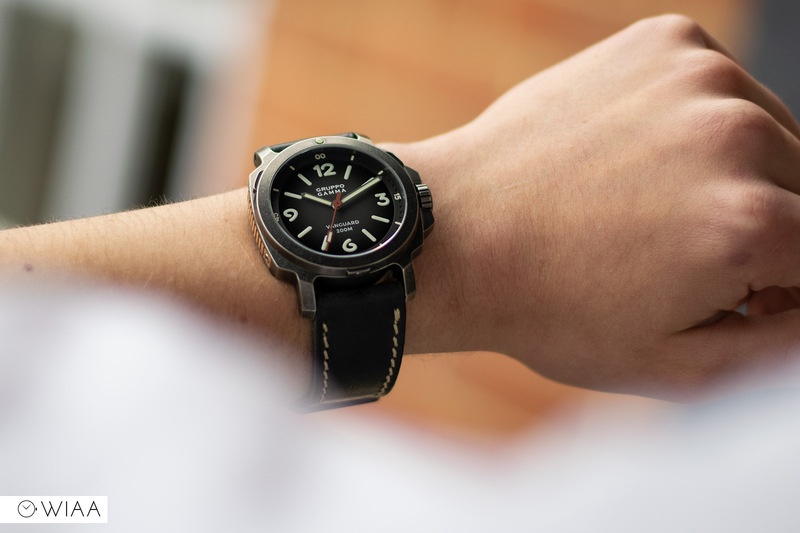 Probably better known as Simona Straps, the company is run by Simona, who descended from the owner of what used to be Italy’s largest tannery that supplied to Gucci etc in the ’80s – and who herself was the first manager of Panerai’s boutique in Florence. 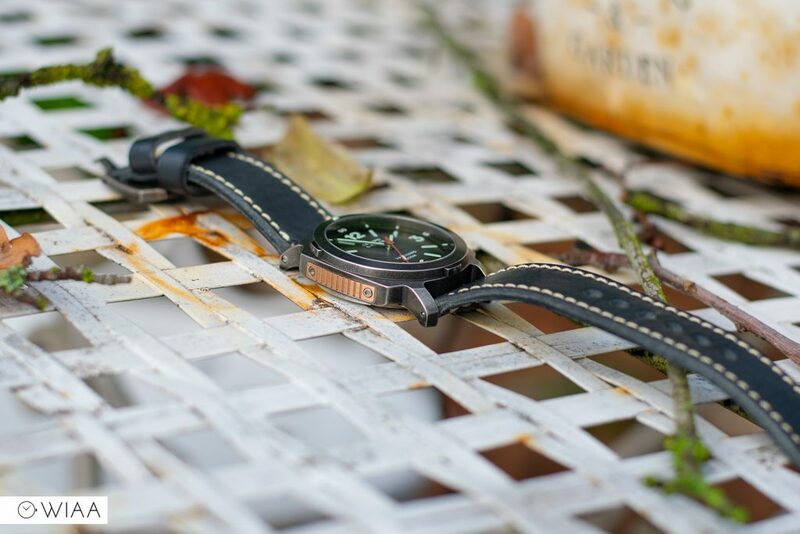 Simona Straps are a prolific maker of premium aftermarket straps for luxury timepieces notably Panerai. 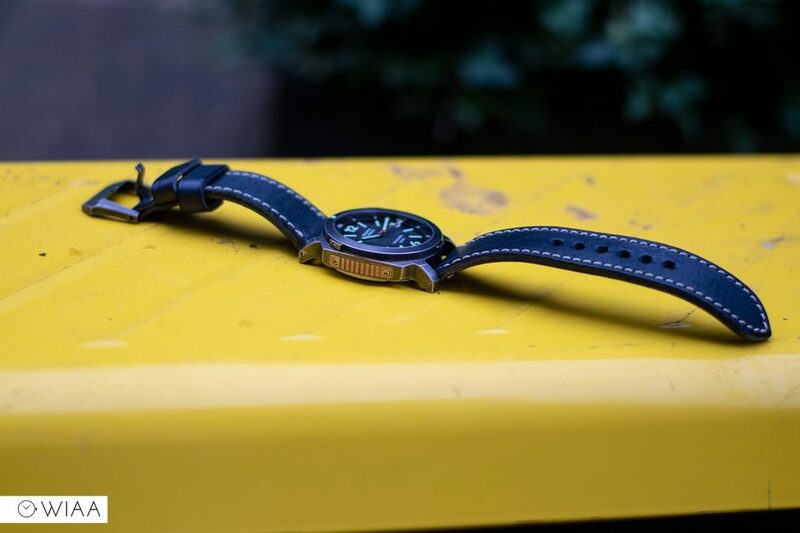 The deep navy blue colour complements the dial and aged steel case perfectly and is a satisfying alternative to grey or black. 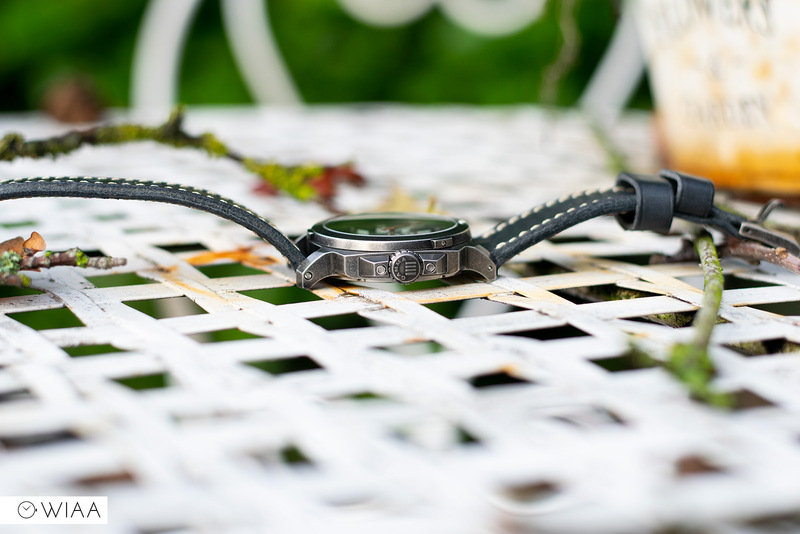 The width of the strap of 24mm at the lugs reducing down to 22mm at the buckle is bulky and sturdy – it certainly feels well strapped on to your wrist. 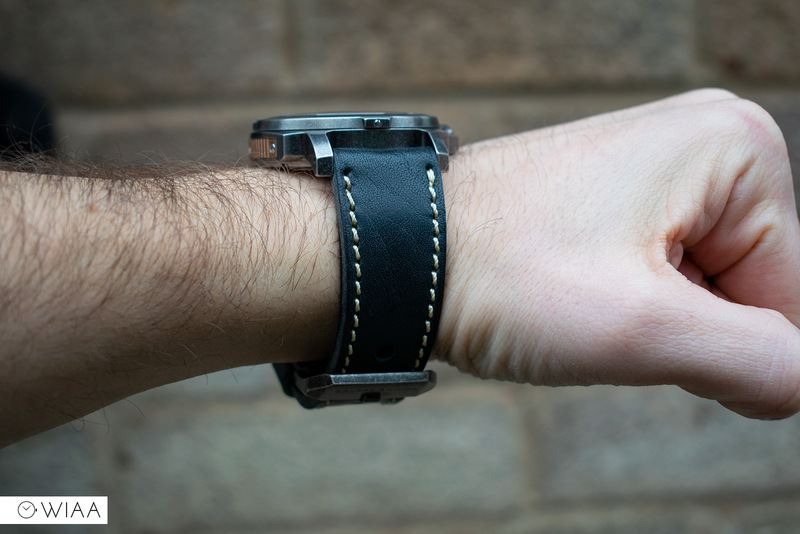 You have the ability to select length in the shop in case you have an extra large wrist which is handy. 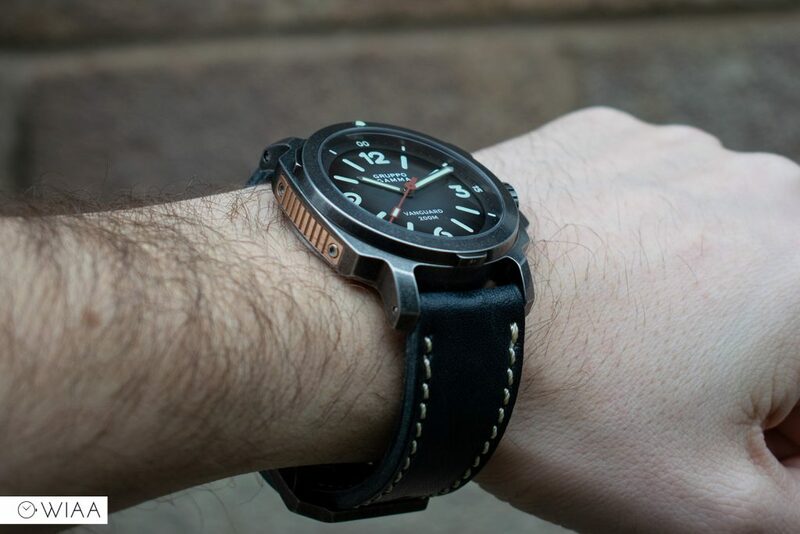 The leather is sublimely thick, and it smells like a fine pair of shoes. light stitching draws the eye. 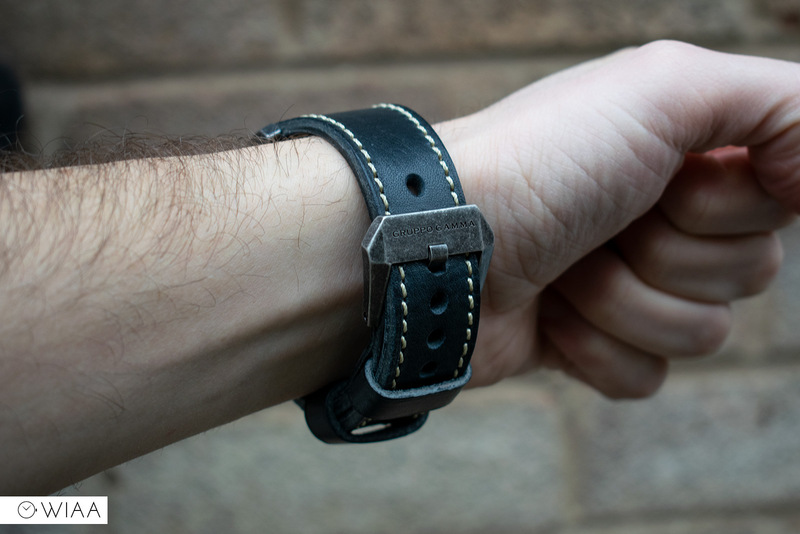 It has an attractive rustic feel to it, very soft on the wrist. The keeper loops are just as rugged, but I do find that the outer loop tends to slip up regularly rather than keep the long length in place. 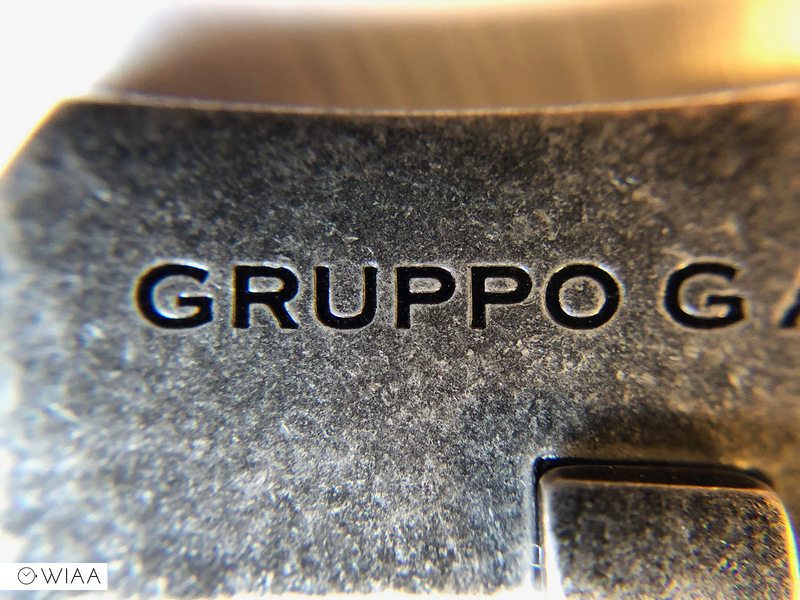 The buckle is the same gun metal finish as the case, with Gruppo Gamma engraved in the centre of the top bar. It’s angular and aggressive, which looks great and feels meaty. 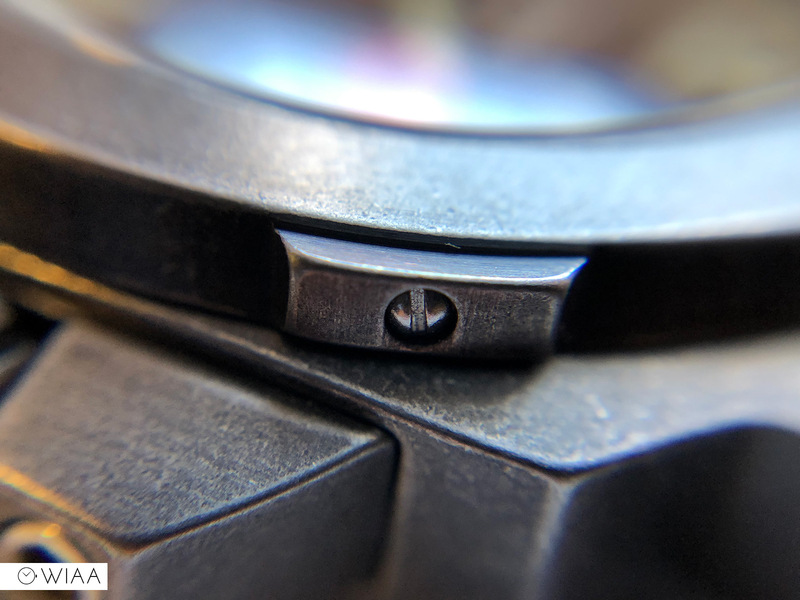 Specs include bi-directional winding, 28,800 bph (a smooth 8 ticks per second), power reserve 38 hrs, and construction in Switzerland of course. 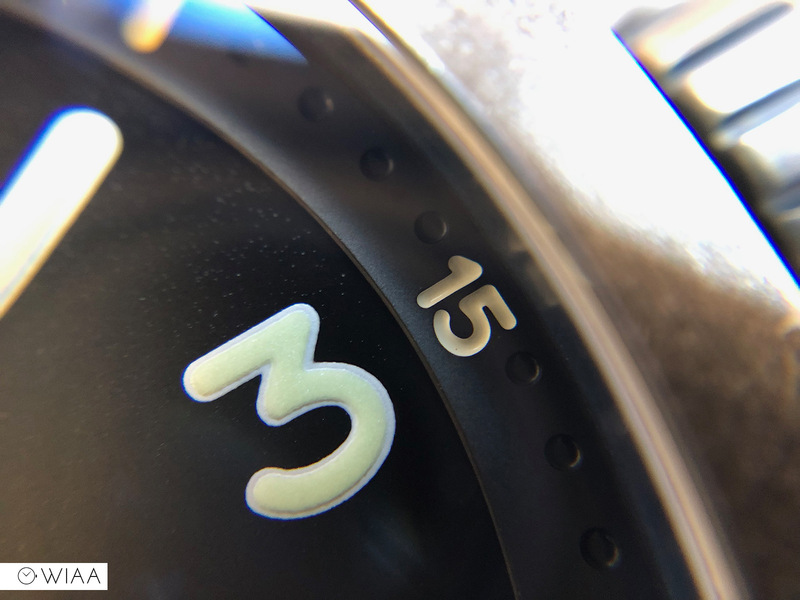 They claim accuracy between -30 to +30 seconds a day, and this movement, in particular, is coming in at -1.8 sec/day – which is very well regulated – by Naoki’s own hands. It’s worth noting that I originally get a high reading, but only because I didn’t wind it fully before the test. 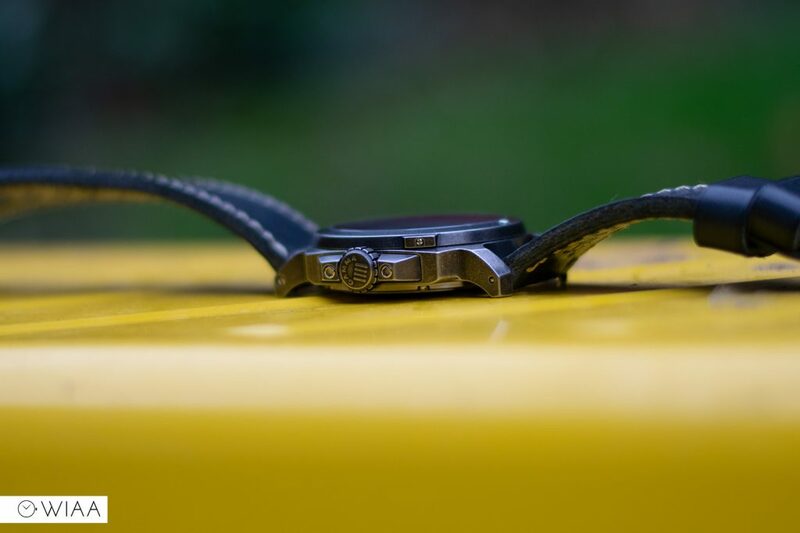 The Gruppo Gamma Vanguard Mk IV AV-16 just oozes quality, from the tip of the buckle through to the top of the case. 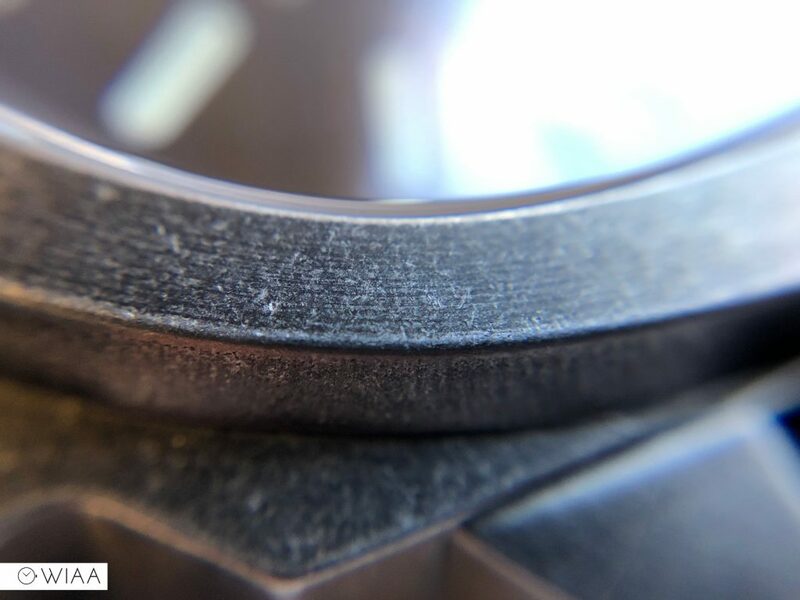 I love the aged steel finish – it’s something I’ve not come across before, and it’ll be quite possibly the hardest-wearing watch in my collection; it’ll never look “worn” as it already is. 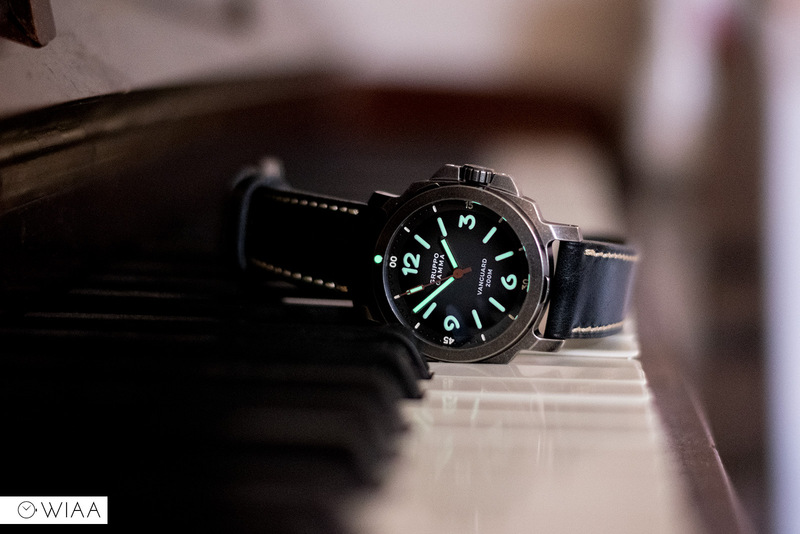 They’ve done a sensational job of creating a “Panerai” killer: a watch that takes vital hues from the popular brand and makes it their own. Really, the only thing is that the larger size of 44mm might be a turn off for some (I’d say avoid it if your wrist is less than 7”). 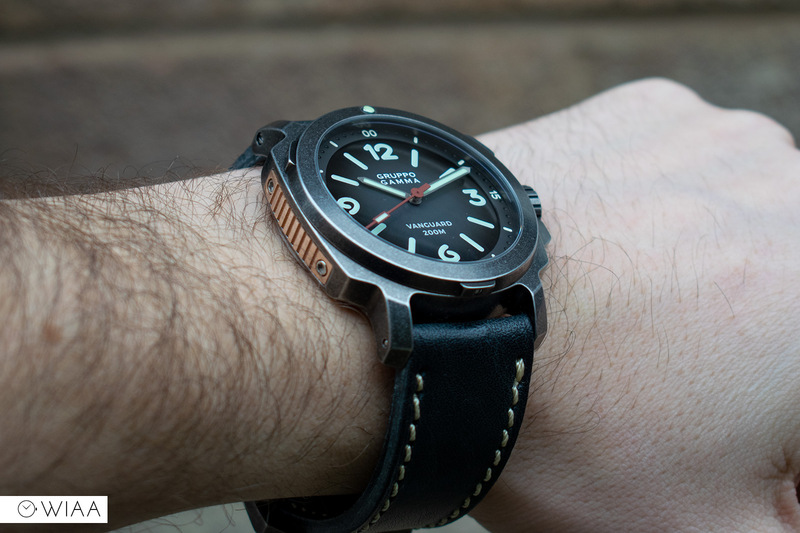 Other than that, yes it’s $900 / £710, but the latest Vanguard is quite some watch. 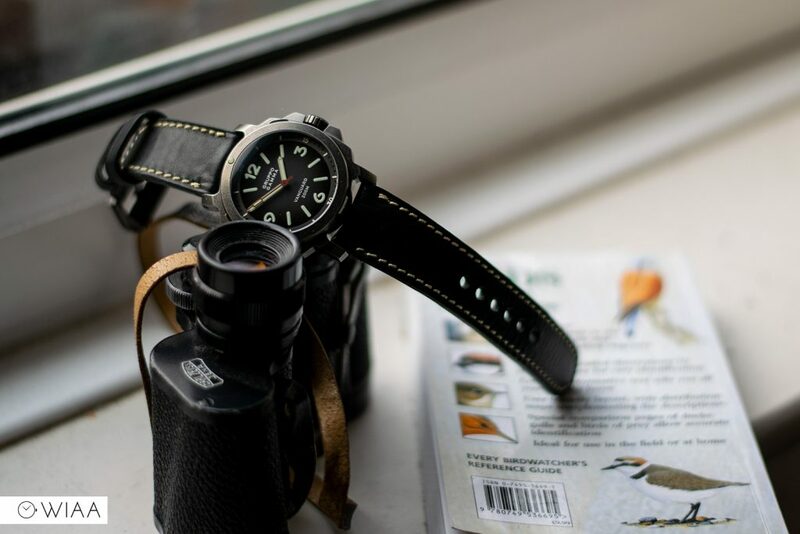 That’s a solid looking watch: I really like the case design. 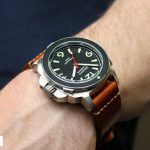 Gruppo Gamma have come on a long way and are making some nice looking and unique timepieces these days.